The mission of the Marin County Commission on Aging is to promote the dignity, independence and quality of life of older persons through advocacy, information, programs and services. 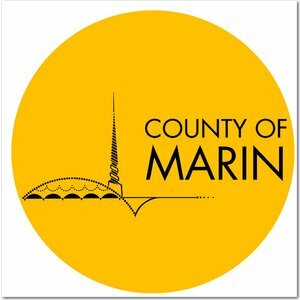 The Commission works closely with the Aging and Adult Services on behalf of Marin's older adults and advises the County on the spending of approximately $1 million in federal funding, provided by the federal Older Americans Act. We encourage the public to learn more and get involved. Established in 1861, the Marin Independent Journal is the main newspaper covering Marin County. The IJ is read daily by more than 120,000 Marin adults. Winner of a multitude of journalism awards, the Marin Independent Journal provides the most comprehensive news coverage of Marin County found anywhere. When you have experienced the loss of a loved one, you can trust us to guide you through the arrangements necessary. By being a full-service Funeral Home, Cemetery, On-Site Crematory and Reception Center, we are better able to help families on their worst day. Your loved one never leaves our facility and cremations are done on-site. No longer will families have to endure the hardship of going to multiple locations to make arrangements for their loved one. Our staff is committed to providing your family with the highest quality of care and services in your time of need. We take pride in our responsibility to lighten your burden as you take the first steps towards healing. From the first hour, the funeral, the graveside and the celebration of life we will be there for you and your family. Sutter Care at Home enhances the health and well-being of the community through a commitment to compassion and excellence to home-based services, offering personalized care in home health, hospice, home medical equipment, respiratory care, home infusion therapy, and community flu and wellness programs.